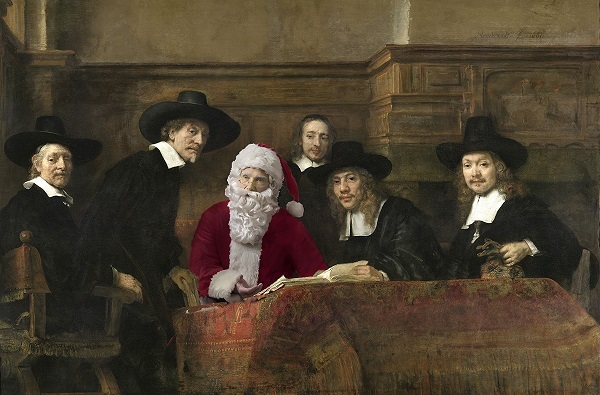 Photographer Ed Wheeler recreates Rembrandt’s “The Syndics.” Photo Credit: Ed Wheeler. When we last spoke to Ed Wheeler, he was only beginning his humorous and clever Santa Classics series. A year later, the photographer is back as Santa Claus with a dozen new renditions of canonical works of art — ranging from Rembrandt’s The Jewish Bride and Benjamin West’s Benjamin Franklin Drawing Electricity from the Sky to Peter Paul Rubens’ Daniel in the Lions’ Den and Vincent Van Gogh’s Bedroom in Arles, among others — to add to his rapidly growing collection. 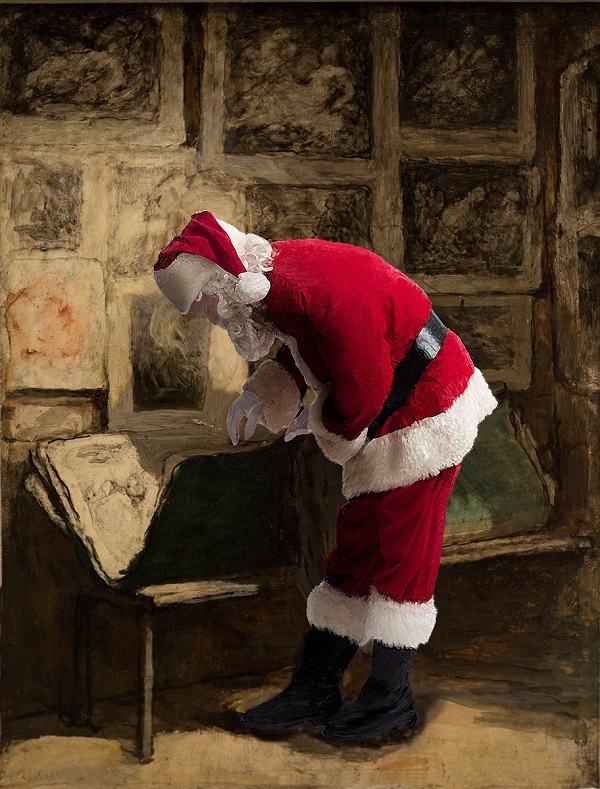 Both whimsical and evocative, the artworks are given a contemporary life outside of museum doors and collectors’ walls by Wheeler, who after arduous and time-consuming research superimposes himself dressed as the iconic St. Nick into the reproductions as part of a multi-step process. According to Wheeler, the idea first came to him in 2011 when he was visiting the Metropolitan Museum of Art in New York City. 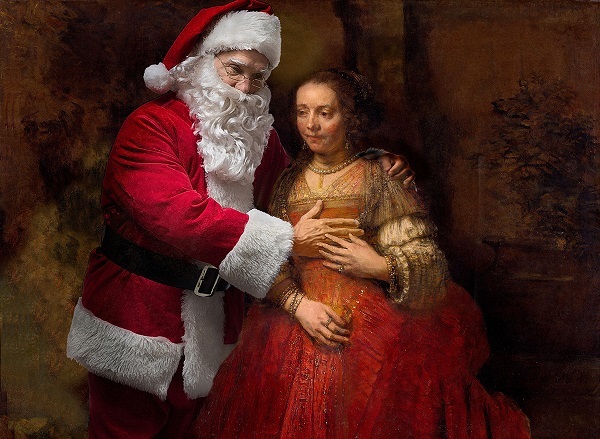 He was standing in front of Emanuel Leutze’s painting of George Washington and came to the realization that some classical works could do with a little holiday twist. However, this decision was not born out of a childhood memory or traumatic experience, he says. Rather, it was a determination to combine a timeless figure with equally timeless paintings in hopes of bringing newfound joy and innovation to both in the eyes of viewers — one might call it a rebirth of sorts. “I did not choose this muse in an attempt to compensate for some childhood trauma at the hands of a department store Santa. I made this choice because Santa is an iconic figure with a well-established character of goodness, charity and happiness. It is the mismatching of established icons that allows for wit and humor,” Wheeler says. Take a look at some of his newest works below and let us know what you think! Ed Wheeler recreates Rembrandt’s “The Jewish Bride.” Photo Credit: Ed Wheeler. 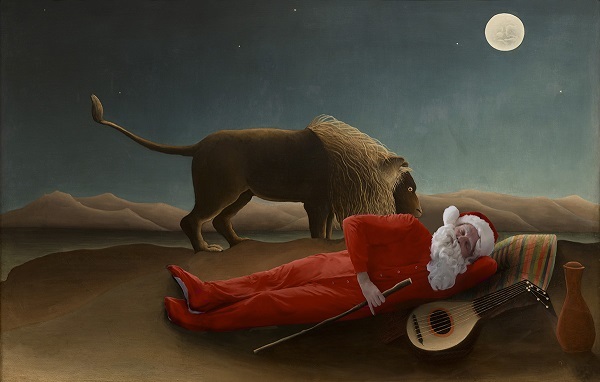 Ed Wheeler recreates Henri Rousseau’s “The Sleeping Gypsy.” Photo Credit: Ed Wheeler. Ed Wheeler recreates Honoré Daumier’s “The Print Collector.” Photo Credit: Ed Wheeler. 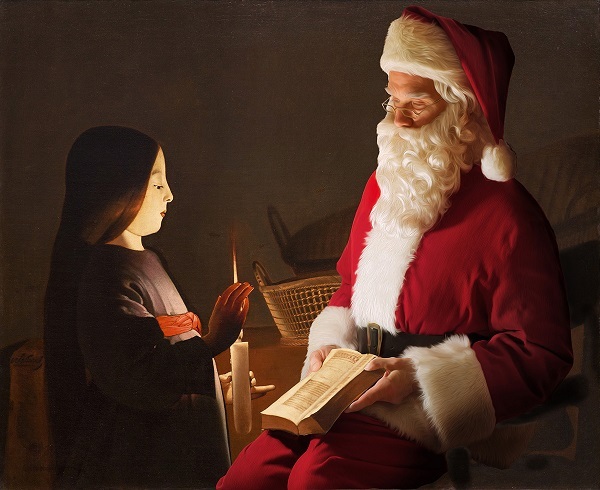 Ed Wheeler recreates Georges de La Tour’s “The Education of the Virgin.” Photo Credit: Ed Wheeler. Ed Wheeler recreates Raphael’s “St. George and the Dragon Final.” Photo Credit: Ed Wheeler. 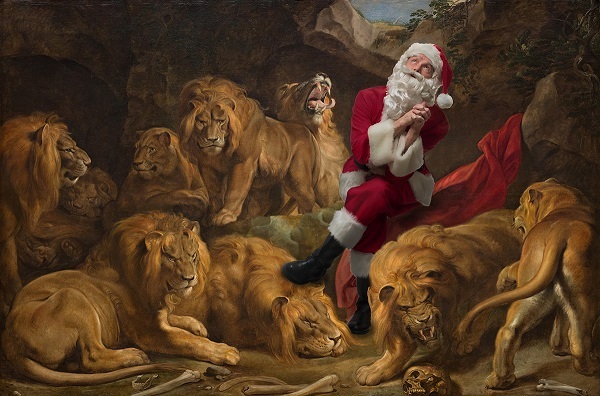 Ed Wheeler recreates Peter Rubens’ “Daniel in the Lions’ Den.” Photo Credit: Ed Wheeler. 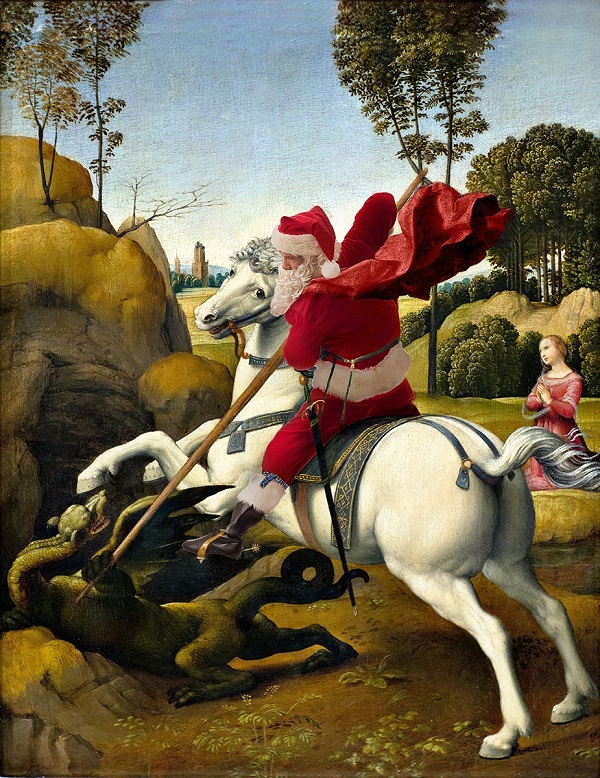 For more images or information about Ed Wheeler’s “Santa Classics,” please visit www.santaclassics.com.